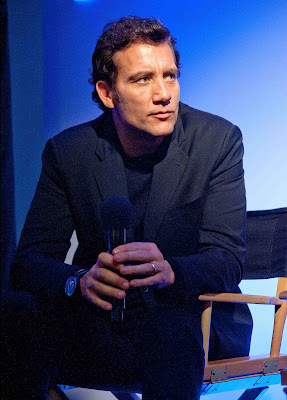 it because it looked so cool”, said Clive Owen earlier this year. in New York City to speak about his role in the horror film “The Intruders”. AMVOX3 Tourbillon GMT, born from the partnership between Aston Martin and Jaeger-LeCoultre, is produced in a limited numbered edition of 300 pieces in ceramic and pink gold. 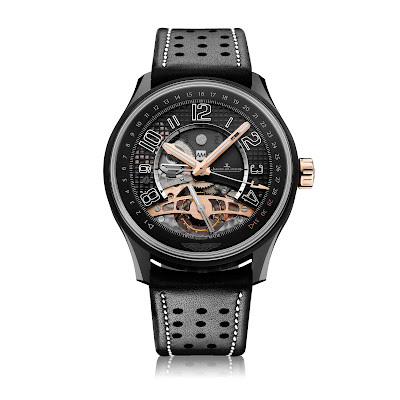 It houses the automatic Jaeger-LeCoultre Calibre 988 tourbillon movement, driving two time-zone displays and a date. The extraordinary openworked dial enables one to admire the ruthenium-coated bridges and baseplate, as well as the blackened central bridge of the AM/PM indicator. The AMVOX3 Tourbillon GMT strikes an undeniably perfect balance between strength and performance.